Fellas, have you ever been in a position where you have met a woman, become love struck but have no idea how she is feeling about you? 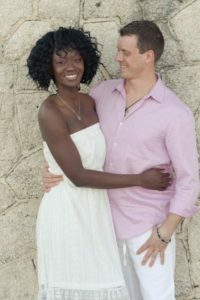 Meeting someone and trying to understand if they like you the same way you like them can be very difficult but not to worry this interracial dating article will look at 7 things to keep an eye out for which will let you she want to be more than friends. When a woman likes a man, she will make the first move. This is one of the clearest signs there is. Rejection is a fear that stop people from making the first move but if you notice that she has come to you, you can be 100% sure that there is something about you she likes. Actions are always known to speak louder than words and if she is constantly finding ways to touch you by brushing her arm against yours, sitting or standing next to you and giving you a friendly punch on the shoulder; chances are she is into you. If a woman is into a man, she will want to know personal information about him like his hopes, dreams, aspiration, family life, work life and much more. If she shows an interest in the world around you, she will share a few personal details about herself as well just to show you she is comfortable and really like you. If you meet a woman or are on a date with one and she puts it out there that she is single without you even asking her, this is a very positive sign that she really like you and is looking for an interracial relationship at that present time. If she deployed a few playful tactics here and there just to get your attention, it is also another sign that she wants to be more than friends with you. If she is throwing a few wryly comments about your choice in music, there is a big chance she you more than what her words are saying. She is just doing so to tease you a bit which is all fun and games so do not be afraid to tease back. This sign is one of the biggest signals out there of affection and if she is making eye contact with you when you are talking to her, just know that she really does see a potential future with you. All you have to do is not leave her hanging, return the gesture if you feel exactly the same way. If she likes you, she will laugh at every joke you tell including bad ones because she want to make it clear to know that she is impressed by you and boost your confidence. This entry was posted in Black Women White Men Dating Tips, interracial dating advice on January 16, 2018 by admin.